The House Committee on Homeland Security Thursday expressed “great concern” about a secret list used by Customs and Border Protection (CBP) agents to stop, detain, question and search 59 reporters, attorneys, and immigration advocates. The Committee’s letter -- and other harsh criticism about the CBP surveillance program -- was prompted by a detailed report on the secret surveillance published Friday by NBC 7 Investigates. To read the exclusive investigation, click here. Rep. Thompson and Rep. Kathleen Rice, D-N.Y., who chairs the panel’s Subcommittee on Border Security, set a March 14 deadline for CBP to provide them with a copy of the list of individuals subject to surveillance. Thompson and Rice also requested copies of any “dossiers” on those private citizens, details on how many times those individuals have been stopped for questioning by CBP, and other information. The Committee also expressed concern that “some individuals have been required to allow CBP officers to search their cell phones before being released” from detention. CBP also revealed that its Office of Professional Responsibility launched an internal inquiry of the surveillance program last month, “to ensure that all appropriate policies and practices were followed.” The Office of Inspector General in the Department of Homeland Security is also involved in that internal review. But that internal inquiry was apparently started after NBC 7 Investigates first questioned the agency about the controversial program and confirmed that it had obtained internal documents about the surveillance effort. NBC 7 first contacted the Department of Homeland Security, Customs and Border Protection and other agencies involved in the intelligence gathering effort on Feb. 27. One of the immigration activists subject to government surveillance and included in the documents obtained by NBC 7 strongly criticized the secret CBP program. “What is especially concerning is the number of human rights defenders and journalists who are being interrogated and added to this list, which is only designed to intimidate them and discourage them from speaking out,” said Alex Mensing of the pro-immigrant group Pueblo Sin Fronteras. “It’s upsetting to know the U.S. government is using its resources to monitor human rights defenders and journalists who are doing their work,” Mensing said. During a visit to San Diego Thursday, Gov. Gavin Newsom denounced the dossier project as a “Big Brother” abuse of government power. 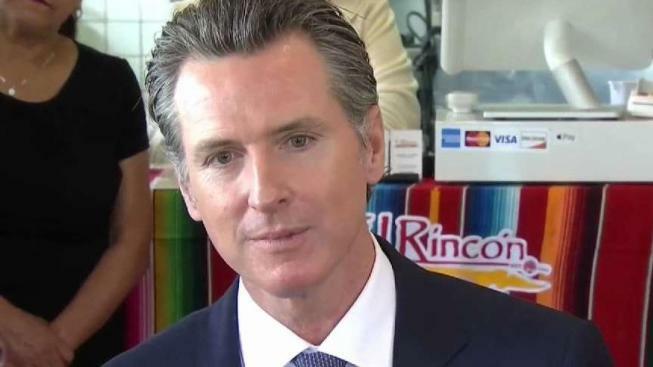 Newsom also contrasted CBP’s extensive surveillance of private citizens with the government’s flawed effort to keep track of immigrant children separated from their parents at the border. Three local congressmen, all Democrats, also criticized the surveillance program. NBC 7 Investigates requested a comment from Republican Rep. Duncan D. Hunter, 50th District, an outspoken critic of illegal immigration and staunch supporter of President Trump and his efforts to build a border wall. Hunter’s office has not replied to that request of comment on the CBP surveillance program. The controversy also reverberated in Mexico City, where that country’s secretary of foreign relations denied any involvement in the surveillance program.